Former Tsarist general who, after making an attempt to march on Petrograd immediately after the October Revolution, was captured and released by the Bolsheviks when he made his way south to form the counter-revolutionary Don Army, receiving aid from the Germans and then the Allies. The Don Army was subsequently put under the command of Denikin. A member of the first Politburo (1919). He supported the Left Opposition in 1923-24, however in 1928 he capitulated to Stalinism while serving as Soviet ambassador in Berlin. He was tried for treason a decade later during the Moscow trials, convicted and executed. Russian anarchist, writer and geographer. Opposed to the Bolsheviks, spent most of his life outside Russia, but returned before his death. Kropotkin asked only to join his voice "to those voices which are summoning the whole Russian people to break once for all with Zimmerwaldism." The apostle of non-government promptly gave his adherence to the right wing of the Conference. A defeat threatens us, he cried, not only with the loss of vast territories and the payment of indemnities: "You must know, comrades, that there is something worse than all this - that is the psychology of a defeated nation." This ancient internationalist prefers to see the psychology of a defeated nation on the other side of the border. While recalling how a conquered France had humbled herself before the Russian tzars, he did not foresee how a conquering France would humble herself before American bankers. He exclaimed: "Are we going to live through the same thing? Not by any means!" He was applauded by the entire hall. And then what rainbow prospects, he said, are opened by the war: "All are beginning to understand that we must build a new life on new socialist principles. . . . Lloyd George is making speeches imbued with the socialist spirit. . . . In England, in France and in Italy, there is forming a new comprehension of life, imbued with socialism-unfortunately state socialism." If Lloyd George and Poincare have not yet "unfortunately" renounced the state principle, at least Kropotkin has come over to it frankly enough. "I think," he said, "that we will not be depriving the Constituent Assembly of any of its rights-I fully recognize that to it belongs the sovereign decision upon such questions-if we, the Council of the Russian land, loudly express our desire that Russia should be declared a republic." 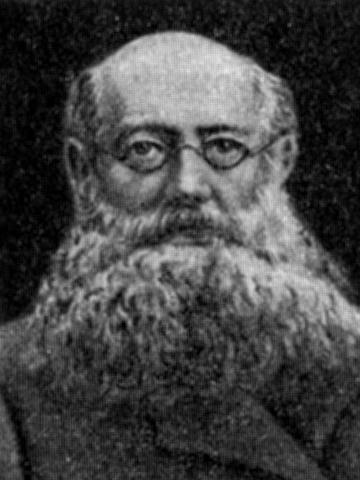 Kropotkin insisted upon a confederative republic: "We need a federation such as they have in the United States." That is what Bakunin's federation of free communes had come down to! "Let us promise each other at last," adjured Kropotkin in conclusion, "that we will no longer be divided into the left and right halves of this theater. . We all have one fatherland, and for her we ought all to stand together, or to lie down together if need be, both Lefts and Rights." Landlords, industrialists, generals, Cavaliers of St. George, all those who did not recognize Zimmerwald, extended to the apostle of anarchism a well-earned ovation. See Peter Kropotkin Archive, and Anarchism Subject Archive. An early leader of the Bolshevik Party and the companion of Lenin. Worked in Commissariat for Education in the Soviet government. briefly aligned herself with the Left Opposition in 1926, but then broke with and condemned it before its leaders were expelled. The Stalinists, in turn, politically isolated her as much as possible. Further Reading: Krupskaya Internet Archive. Nikolai Krylenko was born in Bekhteevo near Smolensk in 1885. As a student at St Petersburg University he joined the Bolsheviks and helped organize demonstrations during the 1905 Revolution. 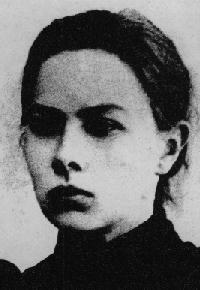 In 1907 Krylenko was arrested and exiled to Lubin in Russian Poland. He returned to St. Petersburg and in 1911 began contributing to pro-Bolshevik newspaper, Zvezda. Later he joined the editorial board of Pravda. Krylenko travelled to Berne, Switzerland, in March, 1914, to participate in a conference held by the Social Democratic Labour Party. On his return he was arrested and drafted into the Russian Army. He served on the South-Sestern Front where he persuaded a large number of soldiers to join the Bolsheviks. After the abdication of Nicholas II he returned to the capital where he joined the executive committee of the Petrograd Soviet and the Party Central Committee. Vladimir Lenin appointed him military commissar and he played the leading role in capturing Stavka, the command headquarters of the Russian Army. As president of the supreme tribunal he prosecuted all the major political trials of the 1920s. In 1931 Joseph Stalin appointed Krylenko as Commissar for Justice and was involved in the conviction of a large number of members of the Communist Party during the Great Purges. Nikolai Krylenko was himself arrested and executed for treason in 1938.